We’d love your help. Let us know what’s wrong with this preview of The Death of Murat Idrissi by Tommy Wieringa. They had no idea, when they arrived in Morocco, that their usual freedoms as young European women would not be available. So, when the spry Saleh presents himself as their guide and saviour, they embrace his offer. He extracts them from a tight space, only to lead Two venturesome women on a journey through the land of their fathers and mothers. A wrong turn. A bad decision. To ask other readers questions about The Death of Murat Idrissi, please sign up. He is not only a stranger now, he is an enemy. He has nothing left in common with the nice boy she saw yesterday. The final book from the Man Booker International longlist and a shortlist contender for me. The Death of Murat has been translated by Sam Garrett from Tommy Wieringa's 2017 Dutch original De dood van Murat Idrissi. Garrett is translator of, amongst other authors and novels, Arnon Grunberg and his wonderful Tirza, Gerard Reve's long-considered untranslatable The Evenings, Herman Koch's b He is not only a stranger now, he is an enemy. He has nothing left in common with the nice boy she saw yesterday. Garrett is translator of, amongst other authors and novels, Arnon Grunberg and his wonderful Tirza, Gerard Reve's long-considered untranslatable The Evenings, Herman Koch's books including The Dinner and the works of Tim Krabbé, and he does another excellent job here. Wieringa's 2012 novel Dit zijn de namen (translated by Garrett as These Are All the Names) focused on the plight of migrants, specifically there refugees, but in an allegorical setting. The Death of Murat is more specific, based on a court case Wieringa witnessed in 2004, and focuses on economic migration, specifically from Morocco to the Netherlands, and also on the experience of the 2nd generation. The novel - or novella, it is barely 100 pages - opens with a almost biblical overview of the creation and history the Straits of Gibraltar, before the narrator zooms in on one modern-day ferry making the crossing from Morocco to Spain. Everything clatters in the driving wind: the girls on the top deck brush the hair from their faces. The hazy blue mountain ranges, rising on both sides of the Strait. The places you will never go, the life there. Ilham’s eyes wander over the mountains of the Rif, the country they are leaving behind. Why did they stay so long in Rabat? They had the car – they could have gone south, to the desert, but instead they spent the whole time hanging around the city. The terrace at Café Maure; the view of the Bou Regreg estuary and the Atlantic Ocean behind. The boys. The contraband at the boats. It feels like a loss, that they didn’t go to the desert, like a missed opportunity. They could have asked Saleh to go along; women in Morocco rarely travel alone. The looks, the comments – if it remains at that. They’ve been on the road for six weeks now, two weeks longer than planned. There had been problems. Situations. Those are behind them now; most of them have been solved. She watched as the little opportunity, the crack that had poses a possibility, sealed over; people looked away and kept their distance, as though her body from one day to the next, became a hostile object ... Either you are with us, said the most powerful man in the world, or you are with the terrorists. The plans, his words – they broke her world, the whole world, in two, into we over hereand them over there. And Ilhan became them. And her body became over there. She felt how the enmity nestled in her organs, how she became infected by the fear and the aversion of others. That is how she became what others thought they were seeing, a double transformation. Even though they were in their parents’ homeland and staying with relatives, even though they identified with the people there, they were not Moroccans. That is what they had in common. That they were seen as tourists. That they paid tourist prices. They were the children of two kingdoms, they carried the green passport of the Royaume du Maroc and the red-lead one of the Kingdom of the Netherlands, but in both countries they were, above all, foreigners. Thouraya, with her Miu Miu sunglasses and a rose-pink D&G bag over her shoulder, looked like a film star on her way to do charity work. There they meet the youth, Murat Idrissi, and his mother and Saleh makes his proposal: that they smuggle Murat into Europe, hidden in the tire well of their BMW. Let me tell you something,” Saleh said. “Everybody made the crossing at some point – my parents, yours too – and you’ve got a good life because of it. But you’re not willing to help him. What kind of a person are you? Ilham turns her head and looks at the crests, the sandy-coloured Spanish land beyond. Her mood has swung. Something has been disturbed. The order of things. They started off the day with the three of them, Thouraya, Saleh, and her, united in a conspiracy to get Murat to the far side. First they picked him up in Témara, in Tangier harbour number five; Fahd showed up – he was going to take the spare tyre back to Holland. Murat had nestled down into the deep hollow made for it, where he would spend the crossing, in the dark, covered with baggage. The greasy stench seems to stick to everything – it is a physical presence. The heat speeds up the decay. The boy has left his body and communicates with them through a ghastly stench. Don’t forget me, his smell says. The rest of the brief novel follows them on their trip North, as they listen to Cheb Khaled (https://www.youtube.com/watch?v=Peklm...), ponder their lives and future back in the Netherlands, encounter some young lads, each group hoping to use the other, and desperately decide what to do with the body. To Wieringa's credit he avoids a dramatic or neat solution, and gives us a very balanced view of Ilham and Thoureya, with their different personalities and different aims: indeed all of the characters are presented with their strengths and flaws, impressively for such a short novel. I said at outset Wieringa had made the decision to make this book specific. And gives his own age/gender/ethnicity/religion, the novel does seem to have attracted suggestions of cultural appropriation (can Wieringa really speak to the experiences of 2nd generation female immigrants from a Muslim background and a generation after his) as well as 'fridging' (a new concept to me until I read it in reviews of this novel). They are very fair questions to ask, and indeed tricky ground. But on balance I'm inclined to feel that Wieringa is approaching this from a compassionate perspective rather than appropriating anyone's culture. The subject matter feels key - and the approach adopted by Jenny Erpenbeck in last year's Go, Went, Gone (where the experience of immigrants is narrated by a rather naive German professor) also has its issues. And the 'fridging' is in many respects key to the novel - many bodies are found dumped alongside the motorways in Spain or washed up on the shore - and Wieringa looks at what may be behind how one such body got there: he doesn't give us much of Murat's own back story but then if he did, that would tilt towards cultural appropriation again. But I fully understand others who have different views. 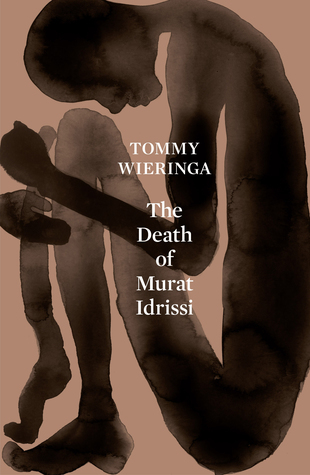 The Death of Murat Idrissi is a novel by prize-winning Dutch author, Tommy Wieringa. It is flawlessly translated from Dutch by Sam Garrett. Ilham Assouline and her friend, Thouraya are on the ferry to Spain, headed back home to Rotterdam from their impulsive, and rather ill-fated Moroccan summer vacation. There on deck with them are three young men: Saleh, whose company became welcome when they ran into difficulties, and his two friends. Ilham is uneasy, because she’s been talked into doing something against her better judgement. When they dock at Algeciras, a quick check of the car’s trunk reveals things have gone dreadfully wrong. And now the two young women, of Moroccan immigrant parents, but raised in the Netherlands, are on their own with very little money, not enough petrol to get home, and the remains of Murat Idrissi. Is how they react a product of their upbringing or their environment? Or both? When does fear and the need for self-preservation overwhelm the respect and responsibility a person has been taught? Are eroded values contagious? Wieringa has a talent for evocative prose: “He possessed no firm core, only other people’s melodies, to which he danced in step. Her irritation had vanished; now there was only a harmless sort of contempt. She was proud of her own insight into human character.” Dark and powerful, this is a thought-provoking read. This unbiased review is from an uncorrected proof copy provided by Scribe Publishing. Een goed kort verhaal van Wieringa met een belangrijk actueel onderwerp, al denk ik dat het boek best wat langer had mogen zijn. Het verhaal gaat niet alleen over de zoektocht van immigranten naar een goede toekomst in Europa, maar ook over de zoektocht van twee Nederlandse-Marokkaanse meisjes naar hun identiteit. De focus ligt vooral op de meisjes, Murat is meer het lijdend voorwerp (no pun intended) en speelt niet echt een grote rol in het boek. Dat is jammer: vanwege de titel en het eerste hoo Een goed kort verhaal van Wieringa met een belangrijk actueel onderwerp, al denk ik dat het boek best wat langer had mogen zijn. Dat is jammer: vanwege de titel en het eerste hoofdstuk had ik verwacht dat Wieringa wat dieper op Murat en de illegale immigranten zou ingaan. Juist deze mensen verdienen een stem en een verhaal, maar omdat Wieringa Murat niet uitwerkt, wordt hij nooit meer dan een wanhopige immigrant. De meisjes zelf vond ik oké beschreven, al bevredigde het einde van dit boek mij niet echt. Verder is Wieringa's schrijfstijl prettig en is het verhaal heel toegankelijk geschreven, dus je hebt het zo uit. Prima boek van Tommy Wieringa. Indrukwekkend hoe hij de sfeer van onzekerheid en de daarop volgende wanhoop weergeeft. Wat mij betreft mag er veel meer geschreven worden vanuit de invalshoek van een in Nederland opgegroeide persoon, die op bezoek gaat naar het thuisland van de ouders en daar merkt dat alles anders loopt dan verwacht kon worden. Tommy Wieringa lijkt hoe langer hoe beter te schrijven. Prachtig onheilspellend verhaal. Aanrader! Zou vijf sterren hebben gegeven als er niet wat schoonheidsfoutjes waren: het hele eerste stukje is me te pompeus en cerebraal en voegt eigenlijk niks aan het verhaal toe. Aan het eind komt de auteur nog eens met een vergelijkbare overbodige beschrijving. Verder schrijft hij dat Murat zichzelf in de kofferbak vacuüm ademt. Dat kan niet, hij ademt immers ook weer uit. En net als de veel slechtere mooischrijver Jesus Carrasco laat Wieringa de zon in Spanje loodrecht aan de hemel staan en een perfect ronde boomschaduw werpen. Dat kan alleen in de tropen. It’s safe to say without spoiling the plot that Tommy Wieringa’s very short novel The Death of Murat Idrissi, translated from the Dutch by Sam Garrett, is built around a striking image of a dead boy. It’s one that I will probably remember for some time. Besides that and the fine prologue, however, I found this a rather insubstantial novel/la that in my humble opinion has similar problems as Hubert Mingarelli’s Four Soldiers, which I briefly reviewed yesterday: somewhat two-dimensional characters It’s safe to say without spoiling the plot that Tommy Wieringa’s very short novel The Death of Murat Idrissi, translated from the Dutch by Sam Garrett, is built around a striking image of a dead boy. It’s one that I will probably remember for some time. Besides that and the fine prologue, however, I found this a rather insubstantial novel/la that in my humble opinion has similar problems as Hubert Mingarelli’s Four Soldiers, which I briefly reviewed yesterday: somewhat two-dimensional characters and an underdeveloped plot (and I’m a fan of short novels). Wieringa also tends toward using a lot of em dashes and semicolons, which to me felt a little too forced. Er zit veel in dit boekje dat tot nadenken stemt. Op 128 pagina's slaagt Wieringa erin thema's aan te snijden die variëren van migratie tot integratie, van verbondenheid tot ontworteling... Nu gelezen voor het verhaal (dat goed is), maar eigenlijk zou het de moeite lonen het nog eens te herlezen en langer stil te staan bij al het voer voor nadenken dat wordt aangereikt. La morte di Murat Idrissi è un libro piccino ma che contiene una storia ricca di spunti di riflessione interessanti e molto attuali. Protagoniste del romanzo sono due amiche olandesi, Ilham e Thouraya. Le due ragazze hanno origini marocchine si trovano sul traghetto che da Tangeri le riporterà a casa. Nascosto nel bagagliaio della loro macchina c'è il giovane Murat, che cerca di fuggire dalla sua terra per arrivare clandestinamente in Europa. Quan "Un grido che nessuno sente non si è mai levato." Thank you @scribepub for sending me a copy of The Death of Murat Idrissi to review in my quest to read the Man Booker International long-list! At only 100 pages, this one is more novella than novel, but the imagery is very striking, like the cover, and a pertinent story. The translation from the Dutch by Sam Garrett was well done I thought, I didn’t really come across any awkward passages and I think that’s probably because Tommy Wieringa employs very straight-forward, no-nonsense language which Thank you @scribepub for sending me a copy of The Death of Murat Idrissi to review in my quest to read the Man Booker International long-list! At only 100 pages, this one is more novella than novel, but the imagery is very striking, like the cover, and a pertinent story. The translation from the Dutch by Sam Garrett was well done I thought, I didn’t really come across any awkward passages and I think that’s probably because Tommy Wieringa employs very straight-forward, no-nonsense language which is a lot easier to translate than flowery prose! Our protagonists are two Dutch girls who decide to head to Morocco, where their parents were born, for a reason that’s not really clear but also not the point of the story. While there, they cross paths with Saleh, a guy who organises illegal crossings for Moroccans hoping to escape poverty and unemployment by heading to Spain. In a time where there’s seemingly never-ending, horrific stories of refugees drowning in attempts to cross the ocean in dinghies and the like, this feels like an important book to remind us of the desperation these people feel. From the title it’s easy to see how the operation goes, as Thouraya and Ilham agree to help Murat by smuggling him across in the tyre well of their car. As much as I did enjoy the writing and the topic (disturbing as the story is), there is the question of Own Voices. I appreciate that authors are trying to incorporate more diversity into their work, but Wieringa doesn’t have any first-hand experience being a second-generation Moroccan girl from the Netherlands. I’m not saying Wieringa’s narration is bad, indeed it’s good and I’m glad he’s drawing our attention to the lengths people are willing to go in a ‘grass is always greener’ scenario, but I’m sure you see the point! Brevissima storia di due ragazze olandesi di origine marocchina che durante una vacanza in Marocco accettano di portare in Europa, nascosto nel bagagliaio della loro auto un giovane marocchino. Come si capisce già dal titolo, il ragazzo non sopravvivrà alla traversata. Il romanzo ci racconta il tormento delle due donne davanti alla situazione in cui si sono messe, ma anche le difficoltà di una loro vita in cui non si sentono né olandesi né marocchine, fuori posto in ogni luogo e che lottano con Brevissima storia di due ragazze olandesi di origine marocchina che durante una vacanza in Marocco accettano di portare in Europa, nascosto nel bagagliaio della loro auto un giovane marocchino. Come si capisce già dal titolo, il ragazzo non sopravvivrà alla traversata. Il romanzo ci racconta il tormento delle due donne davanti alla situazione in cui si sono messe, ma anche le difficoltà di una loro vita in cui non si sentono né olandesi né marocchine, fuori posto in ogni luogo e che lottano con le unghie e coi denti per costruirsi una loro identità. Emilio Berra Sfoglio spesso il catalogo Iperborea, e il nome di questo autore mi era noto, ma non ho letto alcun suo libro. Bella segnalazione. lise.charmel Emilio wrote: "Sfoglio spesso il catalogo Iperborea, e il nome di questo autore mi era noto, ma non ho letto alcun suo libro. Bella segnalazione." graz Emilio wrote: "Sfoglio spesso il catalogo Iperborea, e il nome di questo autore mi era noto, ma non ho letto alcun suo libro. Bella segnalazione." Een spannend beklijvend boek met korte zinnen, mooie vertelstijl en een pakkend verhaal. Twee Ndl- Marokkaanse grietjes laten zich overtuigen om Murat Idrissi de grens over te smokkelen met hun huurauto. Murat sterft echter van verstikking in de koffer van de auto. Een reis door Spanje volgt. Verraad, paniek en angst aan hun zijde. En de allesoverheersende geur van een rottend lijk. Een boek om van te huilen. Sprakeloos.... Triestig! A very short, but griping story. Two women with Maroccon roots, but Dutch by nationality smuggle someone illegaly into Europe. But things go completely wrong. The migration theme i.e. escaping your destiny, fleeing your country, not belonging anywhere is the major theme in this novel. Some people escape their fate and got to Europe because their parents made the right choice. When going back to their roots, they feel like not belonging there. Neither do they belong in their countries of birth whe A very short, but griping story. Two women with Maroccon roots, but Dutch by nationality smuggle someone illegaly into Europe. But things go completely wrong. Some people escape their fate and got to Europe because their parents made the right choice. When going back to their roots, they feel like not belonging there. Neither do they belong in their countries of birth where they are perceived as immigrants. And what right do they have to deny others a live in the ‘promised land’? During the trip, we learn more on the hopes, thoughts and expectations of the MC and on the smuggling business. An excellent read. The book is fast paced, but focuses on thoughts and ideas. It is a book to reflect upon and read again some day. One of the most important characteristics of Wieringa’s style, is his power to describe people, situations and landscapes with a minimum amount of words. Quite impressive. This short 100-page novella really packs a punch. I was invested in the decision-making of these two young women during their whole journey, and it's said to be based on true events. An intense read. Two young Moroccan-Dutch women in their early 20s are on a road trip visiting Morocco, the land of their parents and forefathers. Traveling alone as a female in Morocco has to be done carefully. As both were raised in Western society and have all but dismissed their parents' cultural heritage to have This short 100-page novella really packs a punch. I was invested in the decision-making of these two young women during their whole journey, and it's said to be based on true events. An intense read. Wieringa switcht halverwege het boek van tegenwoordige tijd naar verleden tijd - en wisselt later nog een paar keer - terwijl het verhaal op dezelfde plek verder gaat. Waarom in godsnaam? Daarnaast zijn de dialogen erg flets en ongeloofwaardig, en werd ik af en toe moe van de 'mooischrijverij', waar ik doorgaans van houd. Maar je moet wel iets zeggen met die woorden, en niet alleen mooi staan te wezen. Wieringa beschrijft als geen ander het dramatische lot van een Marokkaanse jongen die de illegale overtocht naar Europa niet overleeft. Een kleinood om te koesteren! The gifted Dutch writer Tommy Wieringa is a bold, intelligent stylist, unafraid of exposing the ugliness of society juxtaposed with the vagaries of human nature. [A] taut, intense contemporary thriller of multiple exploitations. The sentences are concise, propelling the action along and keeping readers on the edge of their seats … a vital must-read. The Death of Murat Idrissi is powerful tale of identity, relationships and the desire to both fi The gifted Dutch writer Tommy Wieringa is a bold, intelligent stylist, unafraid of exposing the ugliness of society juxtaposed with the vagaries of human nature. [A] taut, intense contemporary thriller of multiple exploitations. As scintillating as it is unforgiving, this tiny diamond of a novel from Dutch author Tommy Wieringa is such a masterpiece of compression it could stand as an object lesson for students of creative writing … [A] deceptively simple, yet intricately layered, tale of complicity and exploitation. A compact novella pulling powerful punches. A must read. Based on a shocking true story, this novel will make you question your belief in humanity … The book is short, a fast read, at an almost breathless pace. It will make you appreciate where you are now. It has the grip of a nightmare that is all too plausible. The prose is tight, the story packed into 100 pages, stripped of superfluous detail as a short story might be … Engaging and thought-provoking. All of a sudden the pace takes off, rocketing the reader to a satisfying conclusion. Veel vijfsterrenwaarderingen voor dit boek, zie ik. Helemaal begrijpen doe ik dat niet. Het is een aardige novelle, al komen er wat te veel “gory details” in voor over de ontbinding van een lijk. De relaties tussen de hoofdpersonen worden weinig uitgediept, ten gunste van veel beschrijvingen van landschappen en omgevingen, in wat ik altijd maar “mooischrijverij” noem. Of het relaas van een Marokkaans jongetje dat het geluk wil zoeken in het Westen, met de hulp van 2 Nederlandse meisjes. Leest vlot, maar mist voor mij diepgang en uitwerking. Of misschien is dit net de bedoeling : Murat is een voetnoot in de geschiedenis, veel moeten we daar niet proberen aan te begrijpen. “Wat een zeldzaam goede schrijver is Joseph Roth. Hotel Savoy behoort voor mij tot het beste dat hij schreef.” – Het citaat is van Tommy Wieringa en staat als promopraatje op de achterflap van, jawel, Hotel Savoy. De eerste zin van dat citaat klopt uiteraard: Roth ís een zeldzaam goede schrijver, en – wonderbaarlijk – tachtig jaar na zijn verzopen dood nog altijd perfect leesbaar. Scherpe observaties, vinnige stijl, heldere (en nog altijd verhelderende) inzichten, af en toe een scheut sarcasme: heerlijk! Maar dat Hotel Savoy tot het beste zou behoren dat hij schreef is natuurlijk een béétje overdreven: zijn opus magnum is en blijft zijn Radetzkymars: deze magistraal-nostalgische roman, met drie generaties Von Trotta’s in de hoofdrol en de implosie van de Oostenrijks-Hongaarse dubbelmonarchie op de achtergrond, wordt niet toevallig tot de hoogtepunten van de wereldliteratuur gerekend. En dat vond Roth zelf óók. Terug naar Wieringa. Met ‘De dood van Murat Idrissi’ (vertaald als ‘The Death of Murat Idrissi’) is hij recent op de longlist beland van de Man Booker International Prize 2019. Dat maakt nieuwsgierig natuurlijk, want o.a. met ‘De heilige Rita’ heeft hij echt wel indruk gemaakt. Gelijk gekocht, dus. Uitgeverij Hollands Diep citeert (op de stofwikkel) gretig Le Figaro, die Wieringa – met die typische Franse bombast – in het rijtje zet van auteurs die erin geslaagd zijn “de heilige graal van een totale roman te bereiken”: W.G. Sebald met ‘Austerlitz’, J.M. Coetzee met ‘In ongenade’ en Philip Roth met ‘Alleman’. De verwachtingen zijn dus hoog gespannen. Maar worden ze ook ingelost? Niet echt. ‘De dood van Murat Idrissi’ begint heel sterk (een paar miljoenen jaren geschiedenis worden bevattelijk en overtuigend samengeperst in amper zeven pagina’s), maar wat volgt is een te dun verhaal, inhoudelijk niet dikker dan een krantenknipsel. Wieringa kan schrijven natuurlijk, en hij formuleert fraai, maar grote literatuur is dit niet. Toch nieuwsgierig naar het verhaal? Twee Nederlands-Marokkaanse meisjes gaan op vakantie naar Marokko, krijgen een accident met hun huurauto, raken in geldnood, gaan daarom in op het voorstel om een jongen in de kofferbak van hun auto mee te smokkelen naar Europa, die jongen stikt onderweg, het lijk wordt - uit schrik voor de consequenties natuurlijk, maar vooral vanwege de onhoudbare stank - gedumpt. Einde. Een tragische geschiedenis, bovendien gebaseerd op reële feiten en exemplarisch voor duizenden andere individuele drama’s, maar ergerlijk clichématig gebracht. En dan, ja dan moet ik terugdenken aan ‘Materiaalmoeheid’ van de Tsjech Marek Šindelka. Zelfde migrantenthematiek, maar zoveel sterker, harder, en - letterlijk - fysiek beklemmend beschreven. De conclusie is dus simpel: lees Roth (zeker zijn ‘Radetzkymars’), lees Zweig (‘De wereld van gisteren’ blijft een monument), lees de recent verschenen briefwisseling tussen Roth en Zweig (‘Elke vriendschap met mij is verderfelijk’ – schitterend vertaald door Els Snick), maar lees zeker ook ‘Materiaalmoeheid’ van Šindelka. En nee, ‘De dood van Murat Idrissi’ hoort in dit rijtje niet thuis. ‘De dood van Murat Idrissi’ is in een andere stijl geschreven dan we van Tommy Wieringa gewoon zijn. Hij schrijft hier korte, krachtige zinnetjes om de lugubere situatie te beschrijven waarin twee Marokkaanse meisjes zijn terechtgekomen. Met Murat Idrissi krijgen al die naamloze ‘gelukzoekers’ die dood stranden op de grenzen van Europa een gezicht, een naam, een achtergrond. Toch is het jammer dat de auteur niet dieper ingaat op de levens, de karakters van de personages – ze blijven allemaal een ‘De dood van Murat Idrissi’ is in een andere stijl geschreven dan we van Tommy Wieringa gewoon zijn. Hij schrijft hier korte, krachtige zinnetjes om de lugubere situatie te beschrijven waarin twee Marokkaanse meisjes zijn terechtgekomen. Met Murat Idrissi krijgen al die naamloze ‘gelukzoekers’ die dood stranden op de grenzen van Europa een gezicht, een naam, een achtergrond. Toch is het jammer dat de auteur niet dieper ingaat op de levens, de karakters van de personages – ze blijven allemaal een beetje vaag. De kracht van dit boekje ligt vooral in de sfeer die Wieringa creëert – je ruikt bijna de stank van de dood in de auto. Je voelt die zinderende Spaanse hitte. Bijna moet je samen met de hoofdpersonages ook kokhalzen. Kokhalzen op een wereld waarin mensen op deze manier hun geluk moeten beproeven. Strangely, I feel the book would have been much stronger (and even shorter) without the main plot (Murat, his death, and its consequences) being part of the story. Interesting story, but I think it could have been fleshed out more. Sometimes less is more, but I think these characters and the awful situation they find themselves in could have benefited from more time. Quick easy read. Short story, really. *3,75 stars - my first, but definitely not last Wieringa book! De dood van Murat Idrissi is mijn kennismaking met Tommy Wieringa. Stilistisch in orde, het leest lekker, maar met het verhaal zelf heb ik de nodige moeite. Deze novelle begint veelbelovend met een geologische sfeerschets over de scheiding tussen het Europese continent en het Afrikaanse continent. Wieringa is een zinnelijke lyricus met beschrijvingen over tektonische platen, aardverschuivingen en hoe woestijn- en oceaanvorming de twee 'werelden' van elkaar scheidt. Deze specifieke passage is absoluut klasse: 'De neanderthalervrouw wier gebeente op een dag gevonden zal worden in een grot in de Rots van Gibraltar, kan vanaf de flank van haar berg de b Deze novelle begint veelbelovend met een geologische sfeerschets over de scheiding tussen het Europese continent en het Afrikaanse continent. Wieringa is een zinnelijke lyricus met beschrijvingen over tektonische platen, aardverschuivingen en hoe woestijn- en oceaanvorming de twee 'werelden' van elkaar scheidt. Deze specifieke passage is absoluut klasse: 'De neanderthalervrouw wier gebeente op een dag gevonden zal worden in een grot in de Rots van Gibraltar, kan vanaf de flank van haar berg de berg aan de overkant zien. Ziet ze tekenen van menselijk leven daar? Zuilen van rook aan de horizon? Heeft ze gedachten over de ander? Het leven daar raakt niet aan het hare. Te ver weg.' De introductie is door dit soort bombastische beschrijvingen episch en groots, maar op een bepaalde manier ook weer relativerend in dat het landschap zich niet vormt naar menselijke logica. De rigide grenzen en scheidslijnen tussen landen, continenten en volkeren staan in ieder geval niet in de aarde geschreven; het majestueuze van die landschapsvorming dwingt tot een nederigheid naar oerkrachten die menselijke constructies overstijgen. In een magistraal eerste hoofdstuk scheurt de aarde, klieft de korst tussen hier en daar, en kolt het water het grote vat in dat de Middellandse Zee wordt. Vervolgens daalt Wieringa uit de kosmos neer en focust zijn verhaal op het lot van twee jonge vrouwen die zich op vakantie in Marokko laten overhalen een jongeman in hun auto mee te smokkelen. Dat dit slecht afloopt voor de jongeman in kwestie staat al op de kaft en is verder niet zo belangrijk. Murats lijk is een McGuffin. Wieringa is vooral In een magistraal eerste hoofdstuk scheurt de aarde, klieft de korst tussen hier en daar, en kolt het water het grote vat in dat de Middellandse Zee wordt. Vervolgens daalt Wieringa uit de kosmos neer en focust zijn verhaal op het lot van twee jonge vrouwen die zich op vakantie in Marokko laten overhalen een jongeman in hun auto mee te smokkelen. Dat dit slecht afloopt voor de jongeman in kwestie staat al op de kaft en is verder niet zo belangrijk. Murats lijk is een McGuffin. Wieringa is vooral geïnteresseerd in de reactie van Ilham en Thouraya op dit ongemak in hun koffer. Het bredere perspectief van migratie en mensensmokkel verdwijnt hierdoor uit beeld, wat wel jammer is. De dood van Murat Idrissi is de geschiedenis van een ‘petite histoire’, de kleine tragiek, ‘the trouble with Murat’.